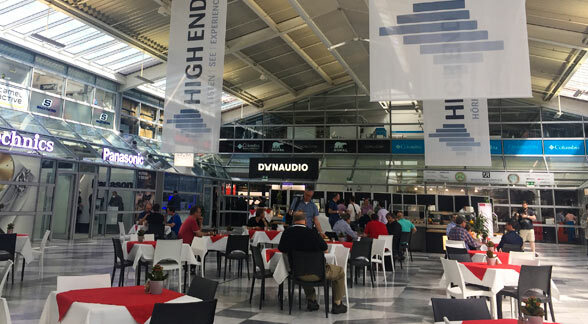 It’s been about 10 days since I returned from Munich and my first High End Show. I had to race back to Los Angeles to give final exams to my anxious students, grade papers, calculate grades, and attend graduation ceremonies. It was a whirlwind trip but got to spend some time with our youngest son Michael (who’s been living in Berlin and works for a famous Icelandic/Danish artist named Olafur Eliasson). Thankfully, my wife Mona got to spend a couple of extra days in Austria before returning to SoCal. 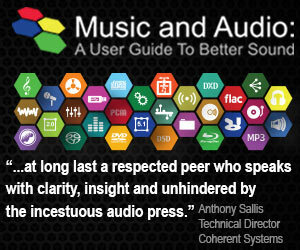 From Thursday until Saturday, I stood at the passage from Hall 2 to Hall 3 in the MOC Convention Center handing out literature about Music and Audio: A User Guide to Better Sound hoping to spark some interest in my book. And most of the time it worked! 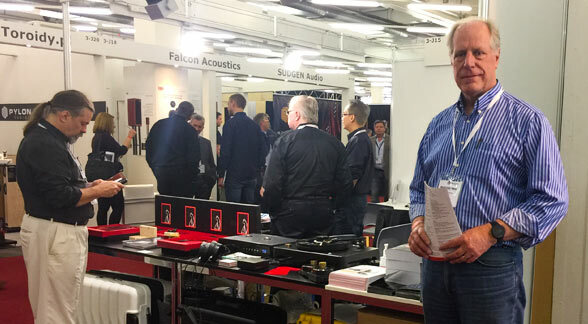 I spoke with a few familiar faces and engaged in spirited conversations with lots of curious audiophiles, other vendors, my own booth mates and audio journalists. As you can imagine, it’s exhausting but always fun. I had a very nice conversation with Andreas Koch about his new components and MQA, spoke with a guy that has a revolutionary new omnidirectional speaker design (I didn’t make to his room), and re-met the Russian guy Mischa that flew from Moscow to Los Angeles just to get his ears measured using the Smyth Realiser in my studio. And I sold about 35 books and over 100 AIX Records samplers. One the best outcomes from the show was meeting Michael E. Brieden of Michael E. Brieden Verlag GmbH. He and a couple of his associates came by the booth on Thursday and were very impressed by the book and the demonstration Blu-ray disc. In fact, it looks as though we’re going to collaborate on the distribution of the book and my recordings in the E.U., which should be very good news for those readers that don’t like to spend crazy money on shipping. We’re still working out the details of our arrangement but I did leave about 30 copies of the book with him at the end of Saturday. As soon as I know more about how distribution of the book and discs will work in Europe, I’ll let you know. Mona and I were very relived that we didn’t have to lug 200 pounds of books back to Los Angeles. Thanks to Michael for the opportunity to bring my message and work to Europe. On Sunday, I abandoned the booth and spent the day visiting the other vendors at the show. 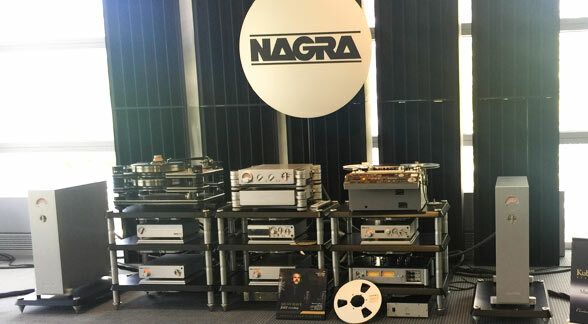 I went upstairs to the Nagra room and reveled in seeing the entire line of portable analog and digital machines on display. 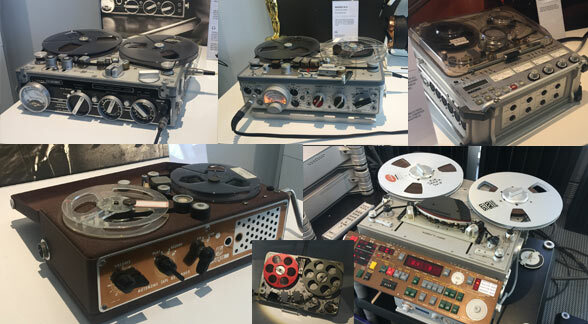 They even had a Nagra IV-S, the same machine that I’ve owned for 30 years. When I asked whether they owned a QGB, the large reel adaptor that attaches to the back, the guy told me they didn’t — they are very rare. I saw my friend Peter McGrath in the Nagra room and briefly said hello. I really wanted to ask him about MQA. He’s been a very vocal advocate for the process and I was curious how he can support a lossy codec but time didn’t allow that conversation. 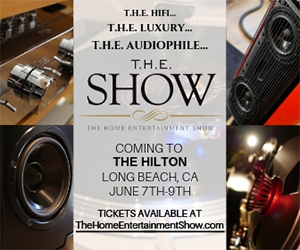 The system in the Nagra produced really impressive sound — depending on the source format of the music being played. I spent about 30 minutes listening to Nat King Cole from a vinyl LP, a Stravinsky symphonic piece from analog tape and a piece of chamber music from CD. As much as I love Nat King Cole (his music was played a lot in my childhood home), I just couldn’t get past the surface noise, ticks, and pops. The analog tape was definitely a step up but still couldn’t track the extreme dynamic range of Stravinsky work. 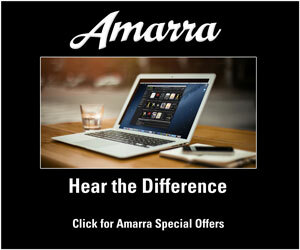 It was left to the lowly compact disc to deliver the best sound in the Nagra room. 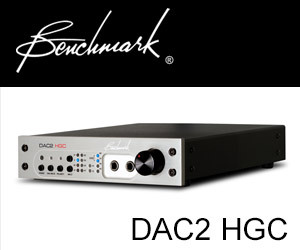 I know this runs contrary to everything audiophiles are told, but if fidelity is the goal…even a standard resolution PCM digital track knocks out the analog competition. However, if a particular “sound” is what you’re after — then investing in analog gear might be your best bet. But be prepared to spend a lot of money. 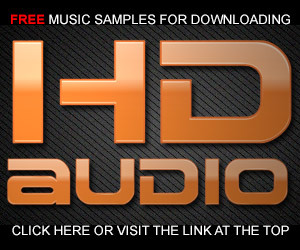 It seems to me that the audiophile debate frequently hinges on the desire for fidelity vs a “sound”. More on that in an upcoming post. great news to read about a posible cooperation with the Brieden Verlag. Looking forward to hear more about that. P.S. This guy ‘that has a revolutionary new omnidirectional speaker design’ – could you please tell us a bit more about him/the speaker design! Sounds like Munich was at least worth the trip. Good luck with setting up your Euro Distribution. Thanks for the update.